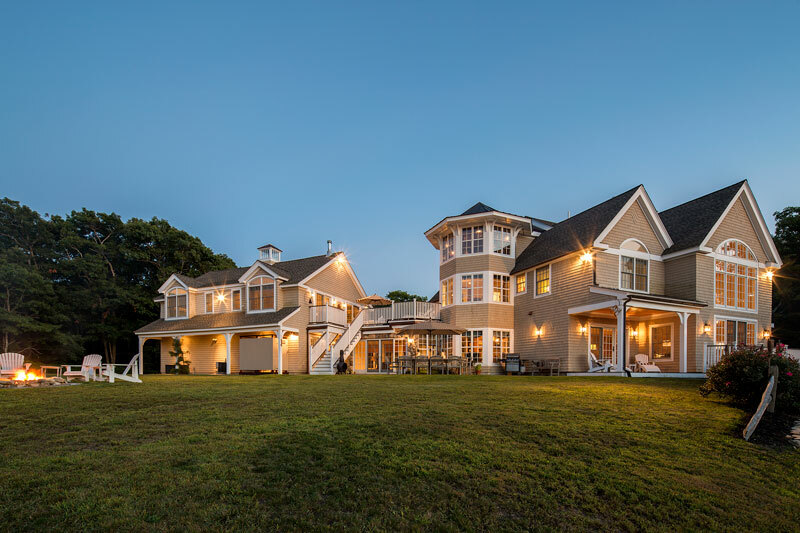 It’s a phrase that’s common to many people who dream of owning their own shore-side home: “Life is better at the beach.” And as the owners of this 4,500-square-foot stunner that’s tucked into the coastline on Martha’s Vineyard can attest, it really is. 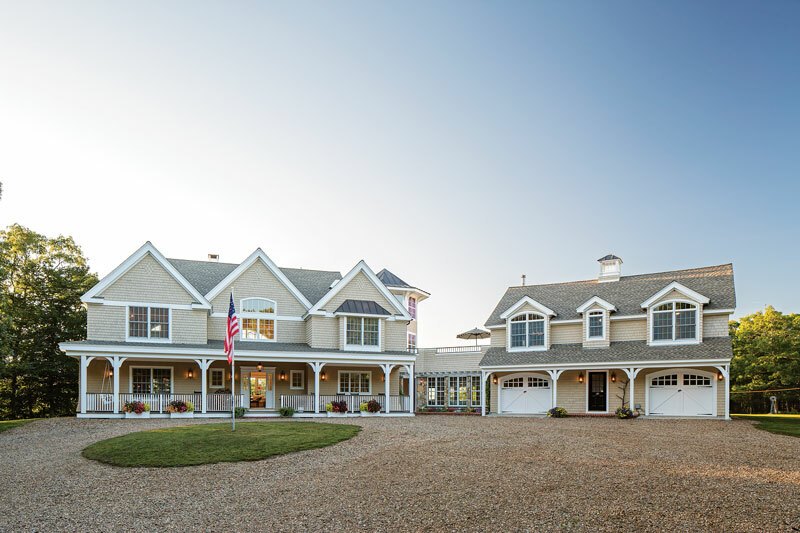 Designed to match the existing garage and its upper-level carriage house that were already permanent fixtures on the property, the home features light and classic elements such as the cedar shake siding and white interiors, paired with unique focal points found throughout the house. 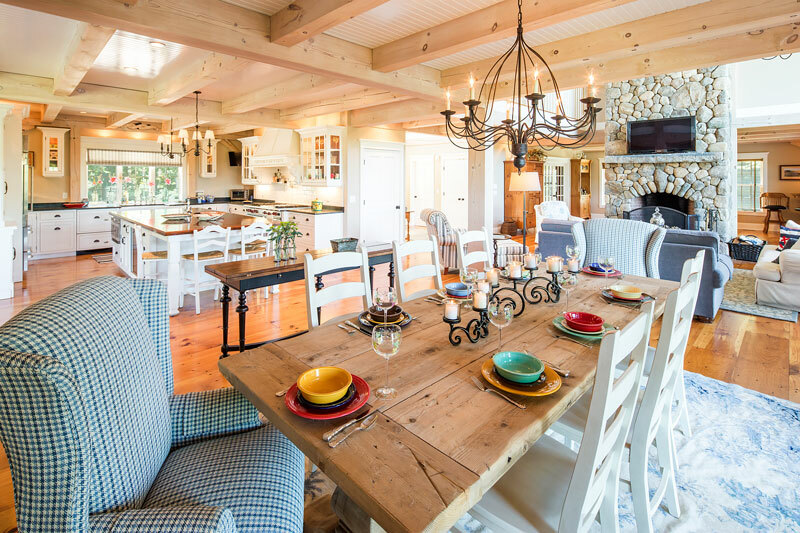 One standout element is the octagonal “light house” feature, home to an upper-level lookout tower and a first-floor breakfast room. 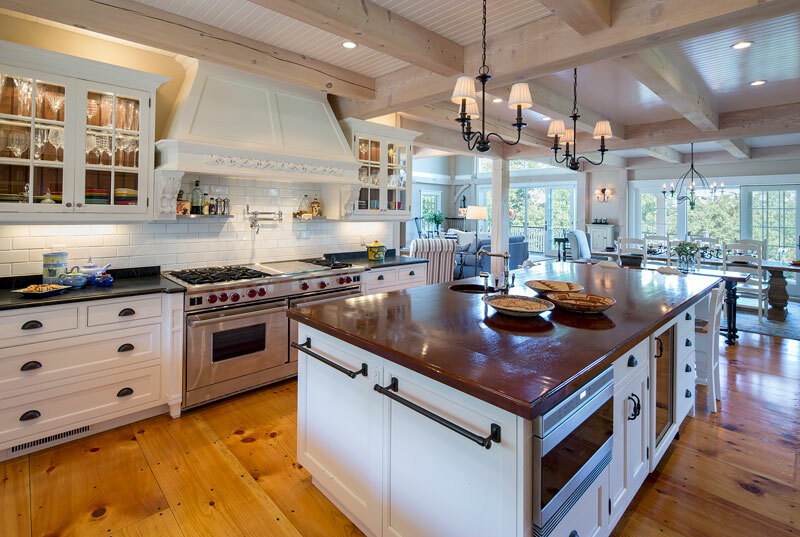 A gourmet kitchen, three bedrooms, a two-story great room and wide expanses of windows round out the bright and airy design. 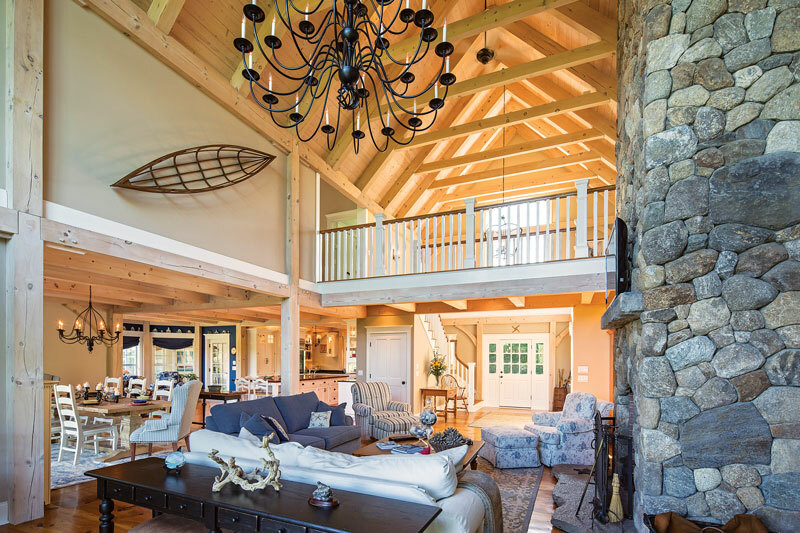 For the striking Douglas fir timber frame, the homeowners opted for a hybrid design, utilizing a full structural frame on the first floor, the center of the second-floor space and the roof of the lighthouse tower. 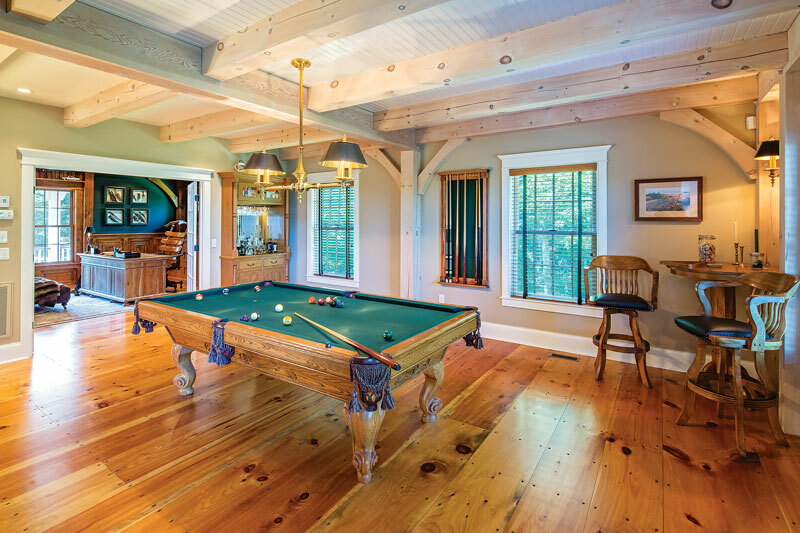 The bedroom wings were built from stick-framed construction, bringing more drywall into the finished home. 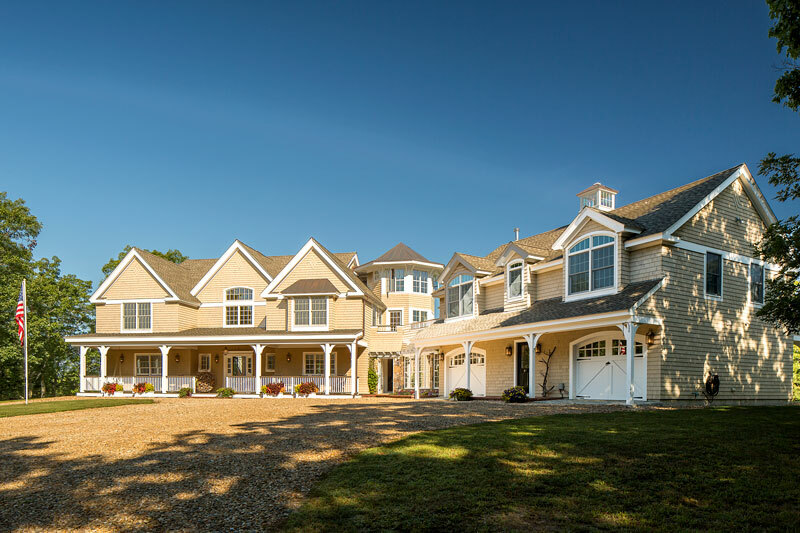 The home boasts unique visual appeal thanks to an enclosed breezeway that connects the main structure with the garage/carriage house. 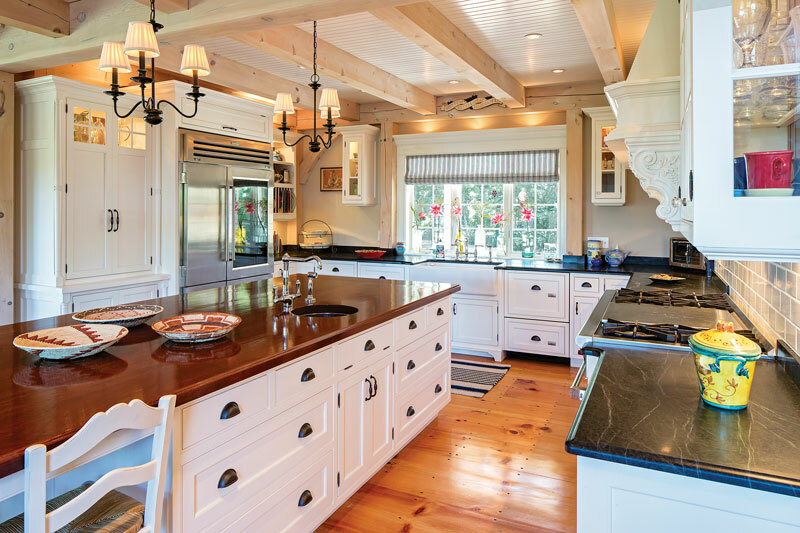 The traditional timber frame stars as a standout feature in the home’s simple design. 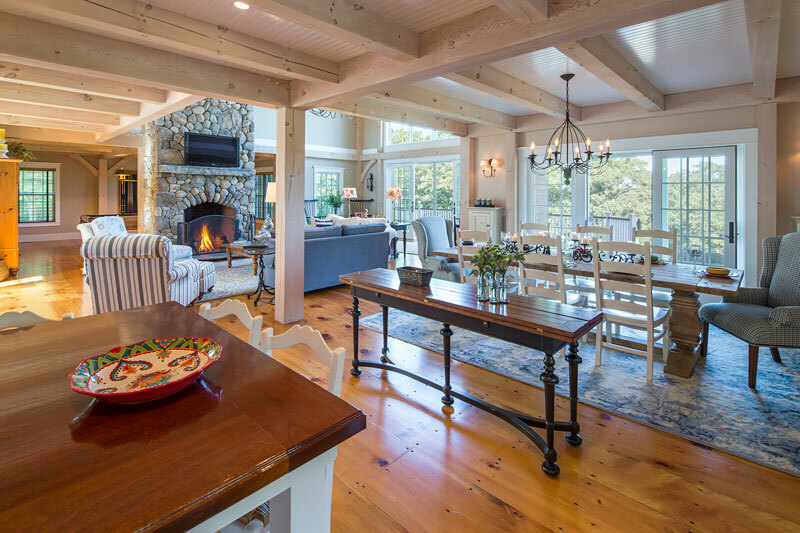 Because of the design aesthetic and finishing choices, the home feels cozy while still offering cathedral ceilings and 4,500 square feet of living space.